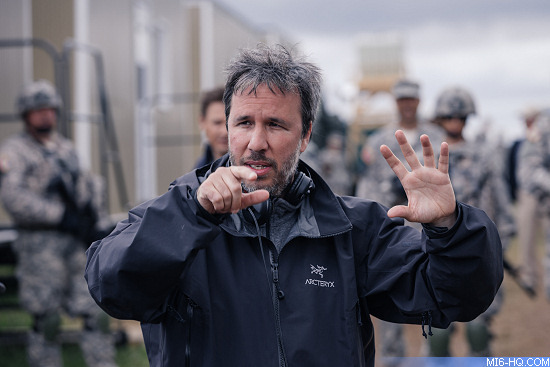 Director Denis Villeneuve has confirmed he has been in preliminary talks to helm the 25th James Bond film. Villeneuve, who is busy promoting his new film 'Blade Runner 2049,' has been quizzed during press junkets this week about his rumoured links to the next 007 adventure. His name was among the 'final three' directors in contention according to trade press reports that emerged after Bond 25's release date was confirmed as November 2019. "I like talking about projects when they’re done," he told the Montreal Gazette. "Now I have to talk about them before they’re even begun. It’s true - I’ve been in discussions with (producer) Barbara Broccoli and (actor) Daniel Craig. It’s a magnificent project; I would love to do a James Bond, but I don’t know how it would fit with my current projects. We’ll have to see." By "current projects," Villeneuve is referring to a big budget remake of the sci-fi classic 'Dune,' which has been a 35-year dream for the director. "That’s going to be the project of my life," he said recently. But he may not get to work on 'Dune' immediately, possibly leaving a window open for Bond - which will be a much faster production. "After Blade Runner, as I’m working on Dune, I would love to just digest and then come back with more energy for Dune with fresh ideas," he said earlier this year. "I need that right now! And so I need distance a little bit." Villeneuve has also said repeatedly that he does not like to work on the same kind of project back to back. "I don't like to do the same thing twice," he told CBC. "I'm trying to find new challenges and have a bigger playground, you know?" A lot of Bond fans have been excited about the prospect of Villeneuve helming the next film as it may also bring back cinematographer Roger Deakins, who delivered stunning work on 'Skyfall' for Sam Mendes and earned him one of his thirteen Oscar-nominations. Deakins decided not to return for 'SPECTRE', saying he had achieved everything he wanted to with Bond in 'Skyfall', but that decision may be up for reconsideration if Villeneuve is in the big chair. Critics who have seen 'Blade Runner,' along with Villeneuve himself, say it is Deakins best work and may finally land him his elusive Academy Award. Other than Villeneuve, front-runners to helm Bond 25 are understood to be Frenchman Yann Demange and Scottish director David Mackenzie. Bond 25 (2019) With the release date announced today, what will be the next news for the 25th James Bond film?